Delhi is the fastest growing metro in India. The population of the city has multiplied 9 times during last five decades. Today, it comprises of over 37 million inhabitants living and workinh here. With a wide area of 1483 sq. km, Delhi has turn into a vast city. 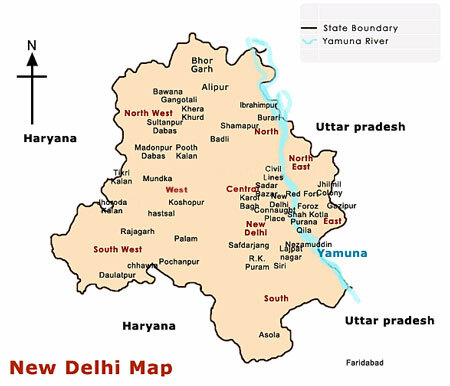 In order to cover the city, it has been virtually divided into zones by Delhi Municipal Corporation as – North, South, East, West and Central. Each of the region is built keeping in mind both – residential and commercial value. Each zone in Delhi is a delight for residents as they are well maintained and well connected. Although in Old Delhi the population is more densly concentrated, which is due to narrow and chaotic roads a legacy of the city’s history that what makes Delhi interesting – a perfect amalgam of Old and New. The areas cater the needs of the people and have restaurants, good schools and colleges and provide adequate health services.